This dress is very comfortable during the hot summer days in Las Vegas! I bought a second baby shower, which is perfect. I am very happy that I went to the Queen! The material is not too heavy and very elegant. The color is consistent with the description, I am very satisfied with the purchase! Very nice dress and the quality better than expected! Very nice dress for a little money. 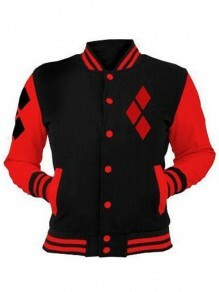 I ordered it for photo shoots. 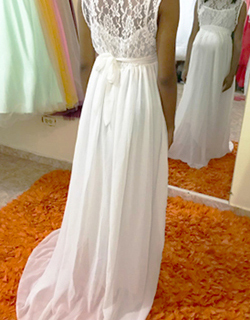 The dress is very good therefore an absolute buy recommendation. The dress are so comfy and I can absolutely grow into them. I ordered a L so that I'd have room to grow. The fabric is soft to the touch and feels lightweight without feeling cheap or being see through. Definitely recommend . Highly recommend this dress! 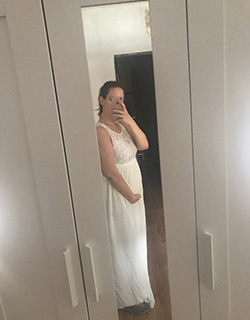 I looked on multiple websites looking for a maternity dress for photos and they either seemed like a scam or were over $100. I’m so glad I took a chance with this one! 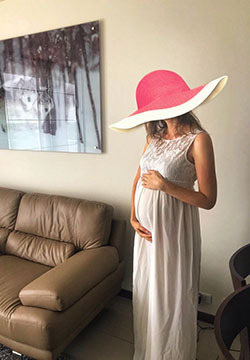 I like this dress when I am pregnant. It's too comfortable, it doesn't make me feel that my body is expanding like other clothes. 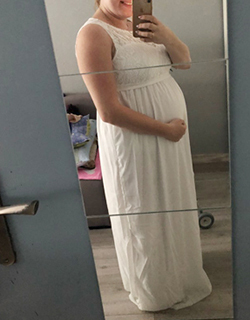 I ordered this dress for my baby shower, it's perfect! I think it looks super cute! I will definitely buy this item again. The price of this dress is absolutely amazing. 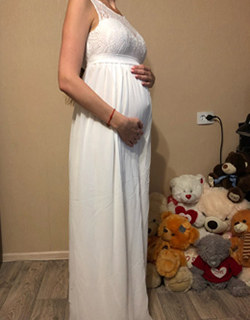 This dress is very good, it is very cheap, and it is very suitable for maternity photos. It adapts to my framework and gives me room to grow. I usually wear the size I bought. We are very satisfied-ordered it for my wife-fits. Quality is good-better than expected for the price.Good quality, great price!!!! This dress is the madness! This dress is the madness! 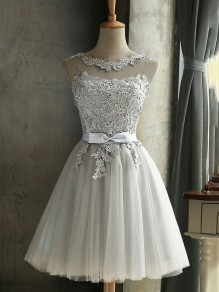 Everyone who saw it fell in love with the dress on the spot.The processing is very good, it has not been damaged and does not smell unpleasant. So a really nice bargain. I bought this dress kinda nervous because was really cheap but when i used it for my photoshoot i love it and all my friends and family also love it.